China’s goals in Central Asia appear largely economic, devoted to securing the region’s vast oil and natural gas wealth to fuel its booming economy. When Tajikistan announced in January that it was giving some of its territory to neighbouring China, the news raised eyebrows around Central Asia. Not because the land itself was significant—it was just 1000 square kilometres of mountainous, uninhabited territory—but because it served as a symbol of what many Central Asians fear is a slow, steady takeover of their countries. Over the last several years, China has dramatically increased its activities in the five ex-Soviet Central Asian states. It’s building roads and tunnels in Tajikistan, developing oil in Kazakhstan and constructing an 1,800-kilometer natural gas pipeline from Turkmenistan. Trade between China and Central Asia has increased from about $500 million in 1992 to $26 billion in 2009, according to official Chinese figures. Thus far, China’s goals in Central Asia appear largely economic, devoted to securing the region’s vast oil and natural gas wealth to fuel its booming economy. The Turkmenistan-China pipeline went online in 2009 and will eventually transport 40 billion cubic metres of gas per year, with the possibility of further expansion. It joins a 2,200-kilometer oil pipeline from Kazakhstan, inaugurated in 2006, as the most visible manifestations of China’s energy ambitions in the region. But China has been active across the region, and over a wide variety of resources. It has made deals with Uzbekistan regarding uranium and natural gas, and also is mining for uranium in Kazakhstan and Kyrgyzstan. It’s helping Tajikistan build hydropower plants. And it’s building several rail lines from China to the region to help transport liquid natural gas and other resources back to China. Although the relationship has been driven by economics, there are indications China may be growing more interested in the internal political affairs of Central Asian states. It has revitalized the Shanghai Cooperation Organisation, a regional security bloc that a few years ago appeared moribund. But China has been promoting the organization more in recent years, and in 2010 held a significant military exercise in Kazakhstan. And a US State Department cable, recently released by WikiLeaks, revealed that the United States believed that China was trying to bribe the government of Kyrgyzstan to evict it from the air base it operates in that country. China also has pressured governments in Central Asia to crack down on Uighur separatists and activists who operate in the region in an attempt to evade the heavy-handed Chinese state. While Central Asia’s political leaders favour China’s no-strings-attached offers of aid and investment, as is often the case around the world, China’s intentions are regarded with much more suspicion among ordinary people. During protests in Kyrgyzstan in 2010, which led to the overthrow of that government, rioters appeared to target Chinese businesses in the capital, Bishkek, for looting. Earlier that year, protesters in Almaty, the largest city in Kazakhstan (which very rarely sees public protests) opposed a rumored deal that would allow Chinese farmers to lease land in Kazakhstan. And Chinese infrastructure projects can induce resentment among Central Asians, as they provide little local employment: Chinese companies tend to import workers from China. 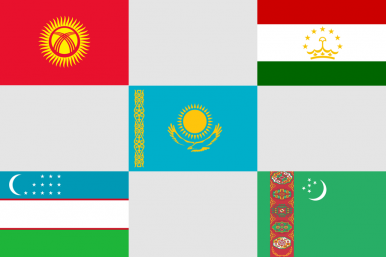 For now, though, public opinion means little in Central Asia, as almost all governments (with the exception of Kyrgyzstan) hold power unopposed. And as long as China gives them more investment and aid, the relationship should continue to grow. Joshua Kucera is a freelance journalist based in Washington, D.C. He is a regular contributor to U.S. News and World Report, Slate and EurasiaNet.